Love her or hate her, and from what I can gather the vast majority of fandom, like me, fall into the former camp, there’s no denying that River Song has forever changed the face of the Whoniverse. A force of nature who storms through the Universe, plays by her own rules and always, without fail, gets the job done, she does what needs to be done without fear of consequence or effect and embodies both the best and worst characteristics of her sometime partner and often missing husband, the Doctor. 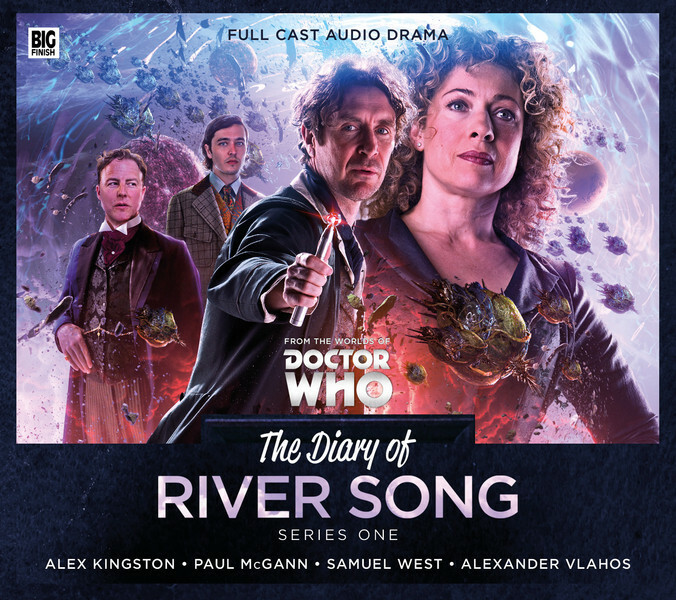 The Diary of River Song casts her as the reluctant heroine and pawn in a Universal game, one that’s played by the self-appointed rulers of …Well, everything. Which almost makes you feel sorry for the folks who think that they’re in charge, because River Song not only hates being played for a fool but she isn’t too fond of being used to fulfil someone else’s agenda either and when she discovers what’s really been going on, all hell breaks loose. All she wanted was to be left alone, ensconced in in the halls of academia on Earth in the early twentieth century, but when a staff shortage means that she’s the only archaeologist who can help rescue a young woman from an ancient tomb, her bags are packed and she’s on her way within the hour. Or thereabouts. The Boundless Sea plunges her into a millennia old mystery filled with mummified vampires and malfunctioning alien technology, one that that sends her back into the blackness of space at the behest of The Rulers of the Universe. Fresh from the dusty planes of an African desert, River becomes the life and soul of a never ending soiree in I Went To A Marvellous Party in which she becomes caught up in murder most foul and attempts to bring the plans and schemes of the aforementioned overlords of all to an end. Having bumped into an old, and unfamiliar, face at the end of her previous adventure, in Signs, she and her partner set out to find the truth about, and hopefully bring to an end, the plague of the SporeShips, incredibly old weapons of mass destruction that are responsible for destroying countless emerging civilisations and their worlds. The more she finds out though, the deeper the riddle gets and the less she begins to trust the only person in all of time and space who she thought she could depend on. But then not all Doctors are the same, something that River learns as she delves further into the life extinguishing plague of the SporeShips . With all of the cards having been dealt to her, in The Rulers of the Universe River determines to bring her foes to heel once and for all, and her great plan would have worked flawlessly if the wrong Doctor didn’t show up to throw a spanner in the works. With her own timeline and that of her beau in jeopardy, she embarks upon a frantic juggling act to keep all of the timey-wimey stuff in check while battling the menace of the SporeShips and helping the Doctor as much as she can before finally putting an end to The Rulers of the Universe. Needless to say, its breath taking, hair-raising stuff, but when you’re River Song, it’s all in a day’s work.